Character Interview: Nick Williams from Hallee Bridgeman’s AN ARIA FOR NICK with a GIVEAWAY! My street team, Hallee’s Allies, recently had a discussion about their favorite book from my Song of Suspense series. I’m currently writing the fourth book in that series, and their discussion prompted me to think about the other books and how special each one is to me. The first book, A Melody for James, was the first book that I ever wrote. Before I started writing it, I had no idea that I even had any desire to write. It simply just happened one day, out of the blue. An Aria for Nick was the second book I ever wrote. Melody just came to me in a rush, literally out of a dream. Aria was a work of love, with very intentional characters. I’ve always loved the broken, tortured hero brought to peace with the love and adoration of a good woman. It is and always has been my favorite kind of story line. Nick Williams is my ultimate tortured hero. He is a man who knows abandonment, abuse, neglect. He has first had knowledge of what kind of sacrifices it takes for a man to do what needs to sometimes be done for the greater good. And he isn’t afraid to back down when the stakes are high. Thinking of Nick, I thought it would be fun to introduce you to him with a character interview. Nicholas “Nick” Williams spent the first few years of his adult life as a soldier in the American Army. During a battle in Iraq, he was in a helicopter crash and presumed dead. Due to his heroism during the time between the crash and his delivering a high profile prisoner to the proper authorities, he was offered a job working for the National Intelligence and Security Agency. His position required him to disappear, stay dead, and work in deep cover situations. 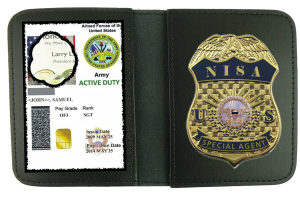 For ten years he was a special agent for NISA. I met Mr. Williams in a coffee shop in downtown Portland, Oregon. After sweetening his herbal tea with honey, he settled back and stared at me with ice blue eyes, silently suggesting I start with my first question. Who would play you in a movie? Hallee gets asked this question in interviews often, and it’s a hard answer for her because she has a very specific image of me in her mind, and real people might come close, but never are “perfect”. She looked through images of current Hollywood actors, and the one that kept coming back to her was Chris Hemsworth. 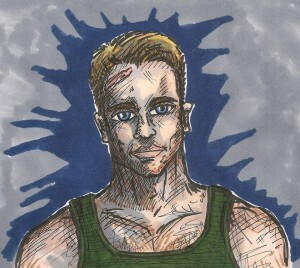 He couldn’t be as buff as he is as Thor, though, because I’m more lean and strong than big and strong. Okay, now that the fun question is over, let’s go into a little more depth. What do you think motivates you to be the type of man who risks his life for his country? I think it’s more than just for my country. Ultimately, I think it’s for the greater good. As to my motivation — my mother left me when I was a little boy. Even knowing how abusive my father was and how mean he would get when he drank, she still left me with him. I was helpless. For over a decade, there was absolutely nothing I could do to make my situation better. At the time, my father was an angry bully of a drunk who took his rage out anyone weaker than him. On a larger, global scale, I battle bullies who think they can beat on those weaker than them. You and Aria were high school sweethearts. Why did you let her think you were dead for over ten years? [Nick laughs uncomfortably] I wouldn’t call us sweethearts. There was certainly an attraction there. I won’t deny that. But I absolutely believed that I wasn’t good enough for her. She was — is — so talented and, well, good. I could only think that I would bring her down to who I was – this white trash, dirt poor kid beat up by the world. After I came to know Christ, I learned that my thinking was backward. I had planned to pursue a relationship with Aria after the war. After the helicopter crash, when I had the choice to just be dead, I thought it was a better decision. I had no idea my father would hurt her, though, or I wouldn’t have done it. I imagine that the life of a secret agent is a hard life to live. No roots, no family. Was that what it was like? Some. I had colleagues at work who did what I did and could relate to the personal struggles that come with the job. I also have a cousin who’s a chef in New York. He knew I was still alive and helped me keep it a secret. When I needed to be around someone who just knew me as Nick, and not Special Agent Williams, I would spend a few days with him. But until I was with Aria again, even on the run like we were, I started realizing just what I had missed in life and what I wanted different out of it. You mention when you were on the run. So little information is out about it, but we know it pertains to Aria’s work in weapons technology. Can you tell us about those weeks? I could, but then I’d have to kill you. Seriously? Of course not. But it’s classified as NEED TO KNOW. I can assure you, you don’t need to know. How do you reconcile your walk in faith with God and the violence of your job? I think I’ve had to cut Goliath’s head off with his own sword. Whether I’m also able to attain the status of a man after God’s own heart, I know that the things I’ve done I’ve had to do. My relationship with God and my battles with the evil of this world don’t conflict in any way. What have you taken away from your years as a NISA agent? Never take for granted of the accessibility of a hot shower. [pause] Never let go of the knowledge that God has a purpose for your life. Don’t grow complacent — the enemy is out there like a roaring lion, seeking whom he will devour. One commenter on this post will win an autographed paperback of An Aria for Nick! Giveaway ends on January 22, 2016, at 5PM EST. Tell me what your favorite kind of hero is. If you’ve read An Aria for Nick, ask him a question! He’s made himself available all day to answer it! ARIA Suarez stood on the corner of the patio at the coffee shop on Macadam Avenue observing the man wearing the dark blue shirt who occupied the corner table of the outdoor cafe. Sunlight glinted on his brown hair, revealing highlighted streaks that nearly glowed, lending his visage a halo-like appearance. He’d flirted with the waitress each time she’d come by, and had even grinned at a small child making a mess at a nearby table. He looked harmless enough, though she couldn’t completely make out his face behind the sunglasses he wore and the Monday edition of the Portland Tribune he continuously ducked behind. She clenched the purse strap in her hand a little tighter. She kept a sharp eye toward the crowd, scanning faces for anyone who looked either familiar or out of place. Finally, she mustered the courage to step forward. Aria hesitantly began her approach, unsure of how this might work and trying very hard not to reveal even a hint of uncertainty. Then she remembered that she also didn’t want to attract any undue attention to herself by appearing uncomfortable or out of place in any way, and she smoothed her stride. The man glanced downward, very purposefully and very carefully folding the newspaper which he set on the table at right angles to his silverware directly next to his cup. That accomplished, he gestured with his left hand in the direction of the chair across from him, silently inviting her to join him without raising his eyes. As she perched herself on the wrought iron chair, she thought to herself that this man looked familiar. All those weeks when she had felt such apprehension, glancing over her shoulder in foreboding, she had checked all the shadows and every corner, certain someone was always following her. Had her trepidation been well-founded after all? Had this man been following her? Had she seen him somewhere before? Or was her nervousness and disquiet simply getting the best of her? Did this man just have one of those faces that you felt sure you recognized? Aria started to feel some very deep, very real anxiety and did her best to quell it. She waited for him to speak, assuming if everything was on the up-and-up that he had done this kind of thing before, and would take the lead to get them to the next level, whatever that was. The waitress came back to the table to refill the man’s lemonade and Aria ordered a cup of decaf with cream, no sugar, then folded her hands and waited. The man across from her sat up a bit straighter then took a deep breath and finally spoke. “Hello, Aria.” His voice flowed over her like a warm baritone blanket. It was deep and comforting and frighteningly familiar. He removed his sunglasses. Ice blue eyes, almost silver in color, calmly met her glance. Already tense muscles contracted in her stomach and around her heart, stealing the breath from her body and sending a surge of adrenaline that made her palms sweat even though her fingers felt ice cold. Her throat let out a startled gasp as recognition dawned. It can’t be! her mind screamed. It’s not possible! Find out more about An Aria for Nick at my website at this link. Great interview, Hallee! It was fun to learn more about Nick. Happy Weekend! My favorite Hallee book. Thank you for sharing a look behind the scenes. My favorite hero has a mentally of the ” sheep dog ” … He guards the defenseless (sheep) and fights to win over the threats (wolf, bear, lion etc.. ). He is armed with God’s wisdom (from His word )and power. My hero prays and plays to WIN the desire of his heart for God’s glory and for his good!! That’s the first description of “Sheep Dog” I’ve seen. Love it! My favorite hero is one who, like Nick, has been through some ‘stuff’ and emerged as a man bent on serving Jesus. I always love developing characters full of ‘stuff’. Your interview was so clever, Hallee. I am hooked now and have to read this book. I haven’t read Nick’s story, but would love to! I like a hero who will always do the right thing when push comes to shove, and will put others first. Push coming to shove can often cause a moral dilemma. :) That’s always fun to write. I love how you did the interview. It was fun. Now I have a new series to read! Thanks for introducing me to this book! Nick is an interesting character. I have “An Aria for Nick” on my shelf, so no need to add my name. It’s always interesting when we get to “interview” a character from someones book. It gives me a glimpse into the authors head (scary place I’ve been told, lol!) & how they came about making the character who they are. I guess the only question I can think of for Nick is….were you always a Christian or if not, how did you come to give your life to Him? I love to hear peoples redemption stories! Thanks for the interview, Hallee & Nick! Great interview and the book sounds intriguing. I love clean romantic suspense. That sounds like my kind of story. Hallee, I’m so happy that I read this post. I have had your Song of Suspense series on my Amazon wish list after I had read a couple of your Jewel books, but I hadn’t looked at what they were about. They were added based on my experience with your other series. I could just kick myself. Being married to a military vet, I am drawn to military heroes. I am also drawn to the broken hero in need of God’s redemptive power and the love of a Godly woman. Thank you for drawing attention this series again. I look forward to the start of a new-to-me series. I love a good clean story. I like that yours has a Christian part to it. I like the title of your book too! Happy New Year Hallee!